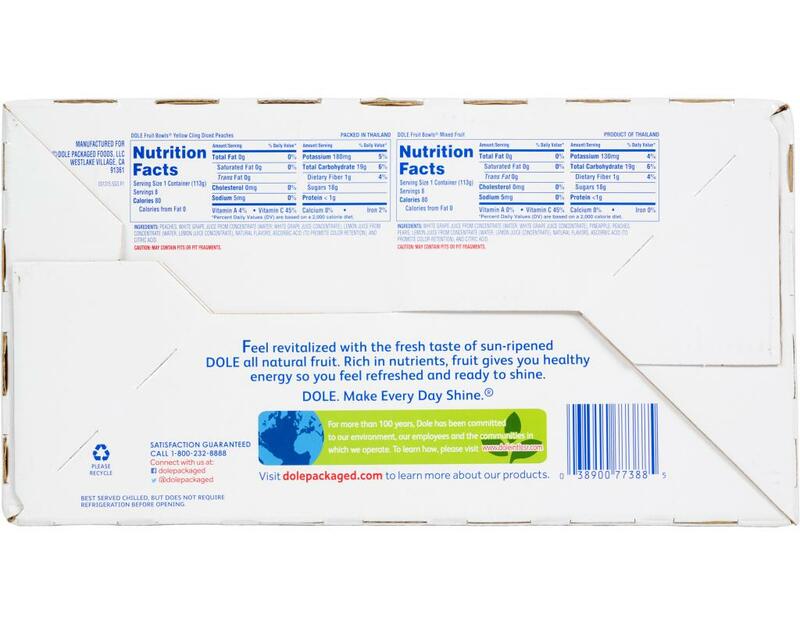 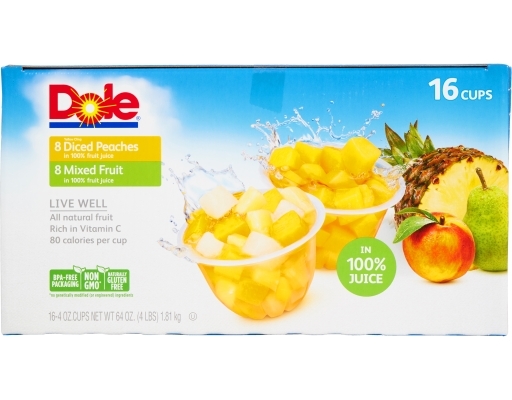 Dole packs premium quality Dole Diced Peaches in 100% juice to preserve 100% real fruit benefits. Shelf-stable and ready to eat anytime and anywhere, Dole Diced Peaches in 100% Fruit Juice Fruit Bowls meet USDA MyPlate guidelines for a full serving of fruit and fruit goodness. 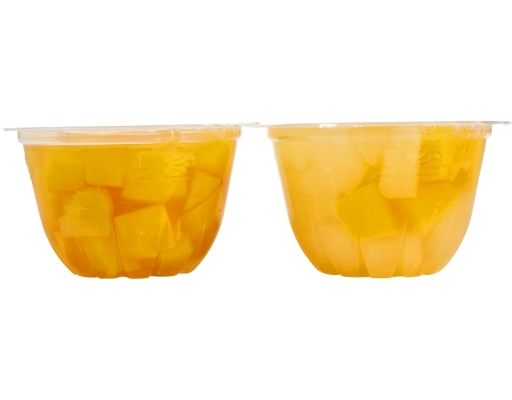 Dole Fruit Bowls in 100% Fruit Juice stand out from the competition in more ways than one. While other mixed fruit cups contain fruit in syrup or with artificial sweeteners, Dole Mixed Fruit contains real fruit in real fruit juice. 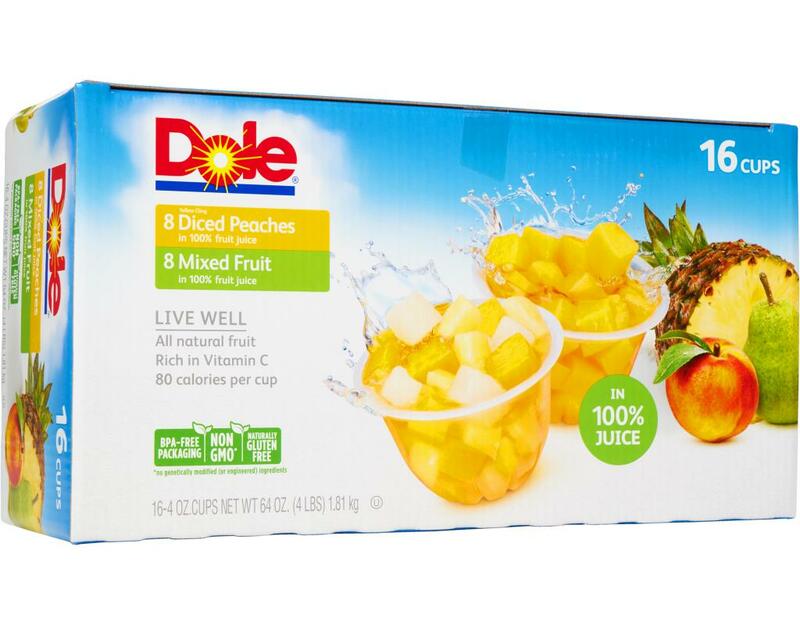 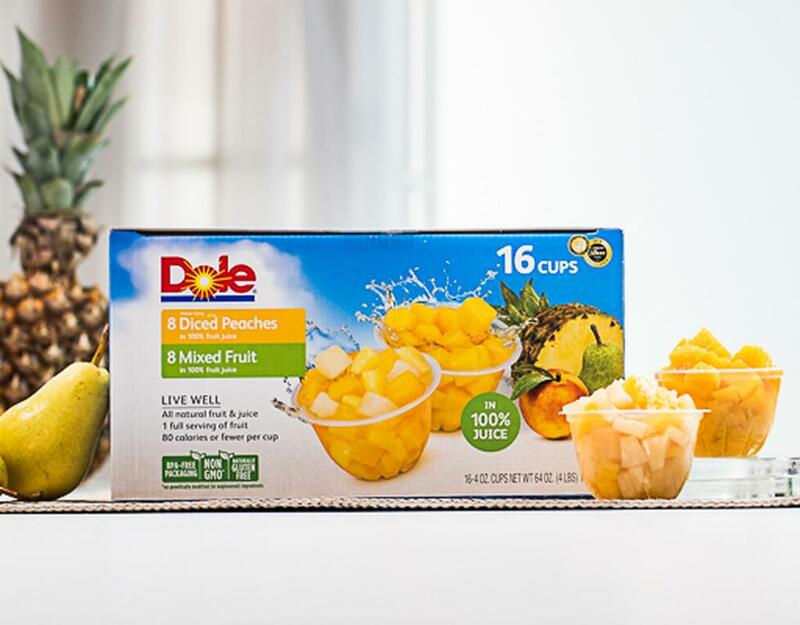 These refreshing treats have 80 calories, no fat and 45 percent of the recommended daily allowance of Vitamin C. Dole Mixed Fruit in 100% juice brings the freshness of all-natural Dole fruit together with 100% juice for a delicious taste. 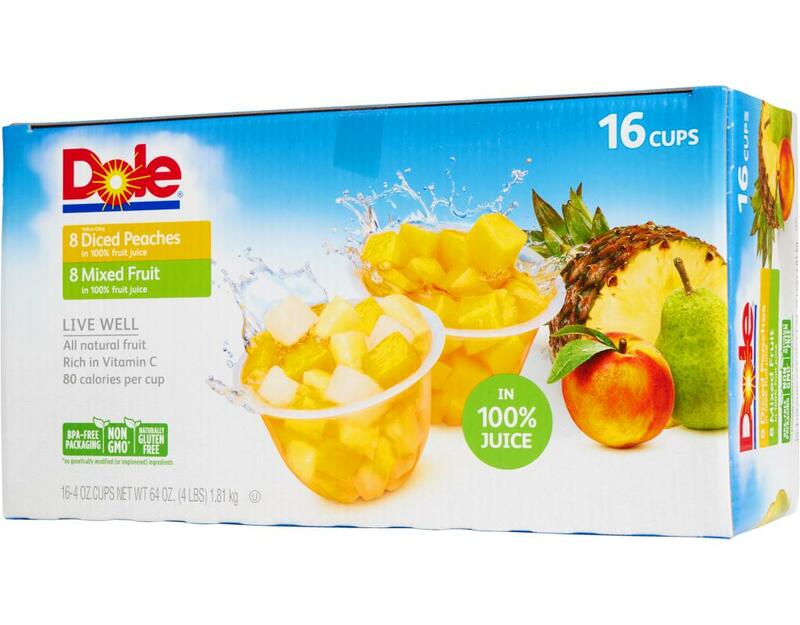 Enjoy Dole Mixed Fruit in 100% juice at home, in the office or on-the-go. They are perfect for a quick snack. 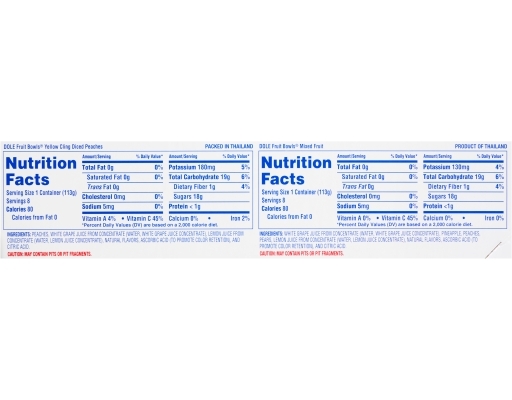 • Individually sealed 4 oz. 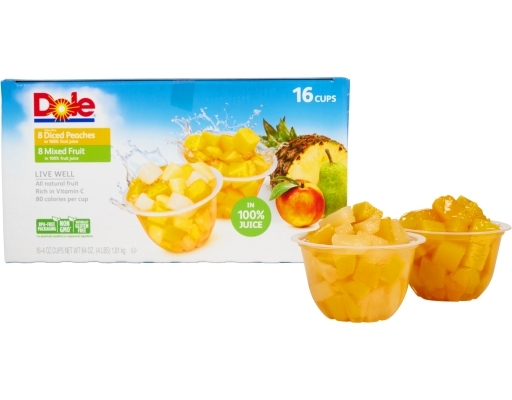 cups with easy-to-open, peel-off lids.